Gonzalo Fernández de Córdoba, great prestigious military leader in the time of the Catholic Kings (XV and XVI centuries), got his victories during the Granada conquest. Later he distingished himself in the campaings at Naples and Sicily. Called there "The Great Captain", he created the army that, mainly with the infantry, was the base of the spanish military power during the XVI century. 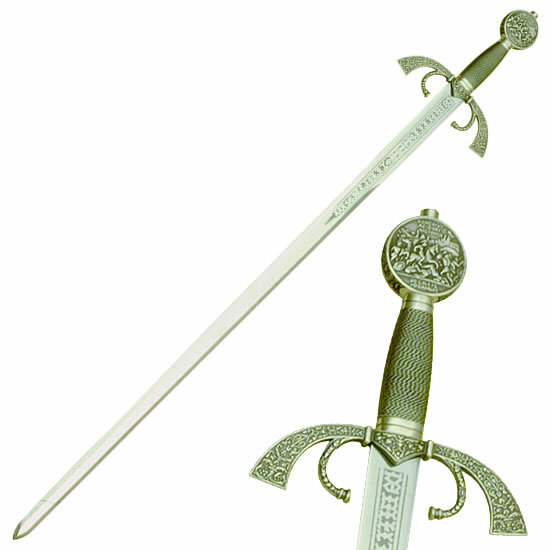 Gonzálo Fernández de Córdoba Sword replica, excelent blade forged in high carbon stainless steel. Hilt made of cast.